To contribute to the island’s recovery, Ford will make three monthly loan payments during this offer with Reliable Auto. As part of its efforts to contribute to the island’s recovery after Hurricane María, Ford Puerto Rico established an alliance with Reliable Auto to make buying new Ford models more accessible. Through this special offer, valid through Nov. 20, 2017, Ford will pay the first three monthly installments of car loans with Reliable Auto. “Unlike other offers in the market, where the start of loan payments are postponed, and the customer ends up paying those amounts later, with this offer, the customer will never have to pay those three months because Ford is going to pay that money to their loan,” said Julio Ortiz, president of the Ford Dealers Association of Puerto Rico. 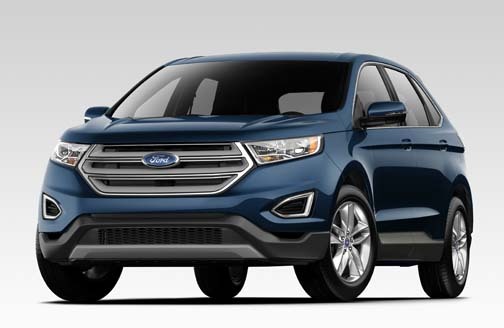 The offer applies to 72 month and 84 month loans for new Ford retail units and is subject to credit approval based on Reliable parameters, and certain restrictions apply. To qualify for this offer, the customer may visit any of the nine Ford authorized dealers located in San Juan, Carolina, Caguas, Bayamón, Arecibo, Vega Alta Fajardo, Ponce and Mayagüez that are already operating their sales areas and Service Centers. Hey Buddy!, I found this information for you: "Ford will make 3 payments on loan with Reliable Auto". Here is the website link: https://newsismybusiness.com/payments-loan-reliable/. Thank you.